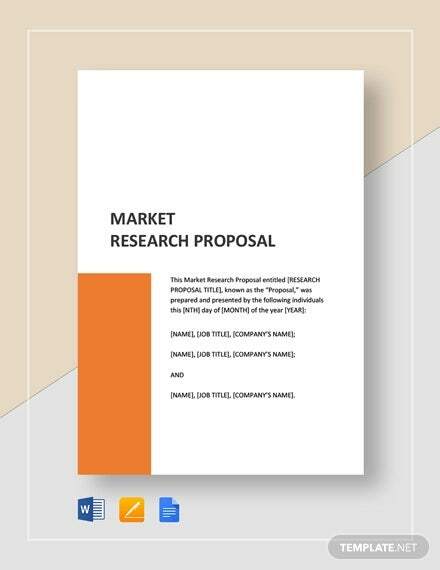 What Is a Market Research Proposal? If you are starting up a business, then it is important to know everything you can about your product and how you can sell it to your target audience. 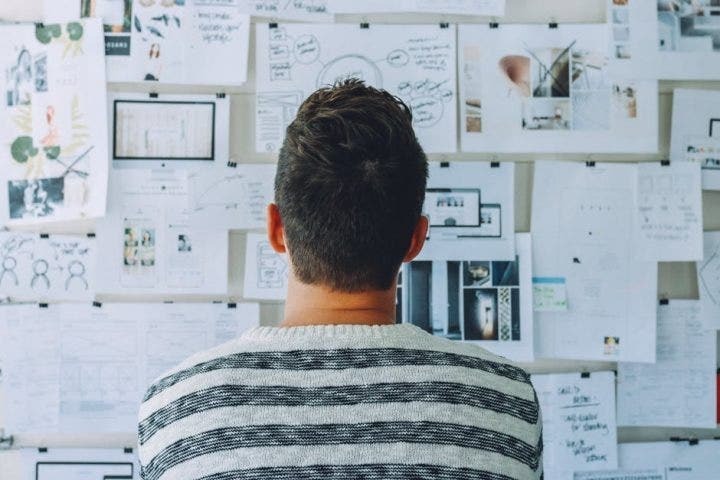 This is why you need to learn how to make a market research proposal as this is what is going to help you come up with an idea of the type of research that will help your business. This article is going to teach you how to make an effective market research proposal so you can ensure that you get what you need. You may also see proposal samples. Marketing research is at the heart of addressing the four Ps of marketing. The four P’s stand for the price, product, place, and promotion. Basically, the product that you are trying to market should satisfy a need, be priced at just the right amount, placed where your target audience can see it and promote appropriately in order to generate sales. The proposal is a rationale for undertaking a research project and, as such, it must be persuasive, written in non-technical language, and thorough in its analysis. The point of making a marketing research proposal format is to state the question which the research is going to answer. The proposal may attempt to determine how you are going to introduce a new product to your target audience or why sales are not great for an already established product. In addition to stating the objective, the proposal should provide a descriptive background that will show the context of why the main goal of the proposal is so important. In the event that costs become a factor, then the proposal should include an estimate of just how much you are likely going to spend. A timeline with major milestones or Gantt chart would also be needed if the proposed research is of significant scope. Sample marketing research must include an overview of the overall marketing environment. There are a lot of environmental factors that you have to consider. This would include things like cultural issues (demographic trends and attitudes of the consumer), technological issues (the Internet and data interchange), competitive factors (prices, services, products. etc.) and economic concerns (competitors, unemployment, and retention). Even the global market must be considered considering that the product you are trying to sell may have been made in another location and must compete with imports from other offshore areas. Data can be gathered from primary or secondary sources. These primary sources include interviews, focus groups, different types of surveys, and even customer survey feedback. Customers and possible customers will answer questions, discuss what their likes and dislikes are, and provide opinions about already existing products; this kind of information is definitely going to be useful in telling you about your prior market performance.While primary sources of data may be expensive as well as hard to obtain, secondary sources provide alternative means of gathering information. These secondary sources include government publications, online searches, magazines, clipping services, and trade organizations. Data analysis can either be descriptive or statistical. No matter which of these measurement techniques you are going to use, you or the researcher would have to carefully maintain your objectivity. In this section of the proposal, you or the researcher must lay out the methodology that will be used in order to interpret the data. This will include a blend of the different research results from both primary and secondary sources. Qualitative aspects might include anecdotal evidence, measurement of the intensity of the emotions of the respondents, the different opinions of these people, and more. Quantitative analysis using figures will be able to measure data precisely as well as offer the exact outcomes of the hypotheses that are going to be tested. If alternative research methods are going to be used, then they should be properly and clearly explained to justify their inclusion. This is the general recap of the important questions that should be answered with the help of the market research. It should be able to address your expectations, what you would like to learn from the market research, and what actions you are going to take after obtaining the results. Here, the market research company should communicate how well they were able to listen and understand the key objectives of your project from the meetings that you have had with them. This is the section of the market research proposal where the firm should sample outline their approach. This approach should set the table for the methodologies of choice and, most importantly, why these options are the best ones that the client should take. When you have figured out the approach that you are going to take, the market research company should be the ones to get into details at this point. The design phase of the market research proposal outlines the structure of each of the market research instruments. This is the crux of the market research. This is where they can show their professionalism, expertise, and experience. During the fieldwork section of the proposal, this is where you are going to learn about the number of groups, interviews, and customer surveys that are being conducted. This is also where you can learn how the firm proposes cutting the audiences as well as creating quotas. The proposal document must be able to highlight the expenses. The total cost is often what your clients would want to know about immediately. This is either included on the cover page or in an email that is to be sent to the client. The cost should give some details on how everything came to be. It should also talk about the hard pass-through costs such as incentives. This is another key section of the market research proposal. This is where you are going to find the market analysis and the reporting plans of the market research company. This should be able to give you an idea how the report is going to be structured. This will include things such as an executive summary, recommendations, infographic, and even customer persona. To read other informative articles related to marketing and proposal templates, do check out the rest of our website.